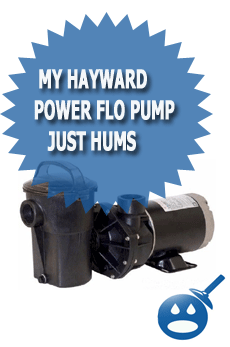 Do you have a Hayward PowerFlo or Super Pump? 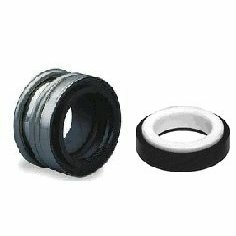 Have you inspected the tube sheets to make sure there is no cracks? 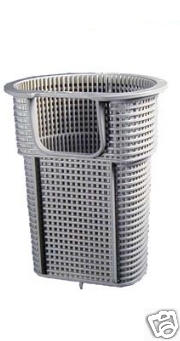 That is a common problem with Hayward EC filters, People “bump” the handle to hard and then the shaft breaks the tubes sheets, or actually creates small spider cracks. Inspect the tube sheets near the shaft center, you probably will see hairline spider cracks. If you do you will have to replace the tubesheets. Please let me know of you need more help. 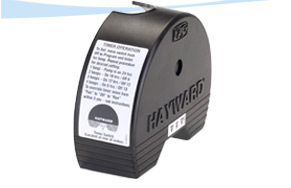 I have a haywood Power Flow SP1510. When I try to run the motor with no water (only for a few seconds) the motor runs fine. When I add water to the pump, the pump will not run. I have worked on motors before and this sounds like a classic case of the capacitor going bad. I dismantled the pump and found out that these motors do NOT have capacitors. My first question is: What could possibly be wrong with the motor (even tapping the motor when trying to start it with water in the pump did not work). My second question is more technical, if these motors do not use a starting capacitor, how does it start? I do hear a centrifugal switch when the pump starts and stops, what is it used for? They are magnet driven motors, most of them these days anyhow, so you’re correct there are no caps in them. 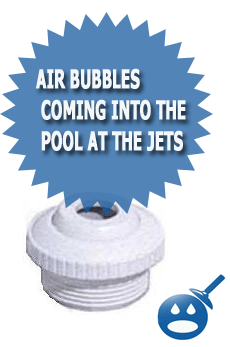 Hence the name “MagTek” on most pool pumps these days. 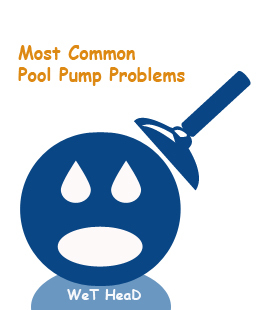 If you are handy, in which it sounds like you are, I would suggest unplugging and disconnecting the pump from the pool. Then I would suggest taking the motor apart by removing the 4 motor “though bolts” and cleaning the motor armature and I would inspect the pool motor windings. You also should make sure the windings are clean as well. Thanks for the RAPID reply, I will work on it in the morning. Thanks for the answers, now I know I was looking for the wrong answers. Any ways, I do hear a centrifugal switch on ramp up and ramp down, what is it for. 1. Undersized wiring; loose connections; etc. 2. Low voltage at motor or power drop (frequently caused by undersized wiring or extension cord use). 3. Mechanical binding and electrical overload. 1. Centrifugal switch stuck in OPEN position. 2. 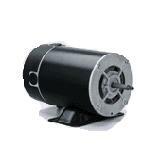 Binding of motor shaft. any idea what is the solution? YOU HIT THE NAIL ON THE HEAD! Thanks again. It was a low voltage problem. The connections had degraded over the years and needed to be replaced! 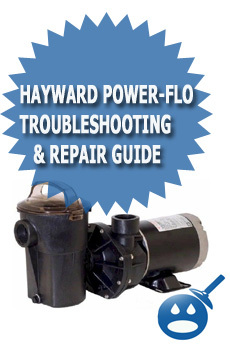 We have a Hayward power-flo 1.5 hp. It was fine last week now it seems to be making a lot of noise from the motor, and the outside of the motor gets very hot very quickly, it is 9 years old. 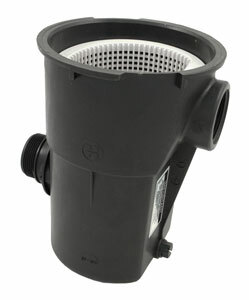 Have you backwashed the pool filter? What is your pressure at? 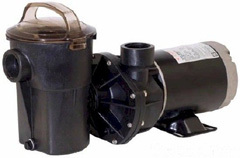 My brother and I both have above ground hayward pumps 4 years old we both have the same problem it starded the end of summer last year the moter works for one hour shuts off and restart about 45 minutes later its a powerflow. Do you have these pumps hard wired or are they being feed by extension cords? 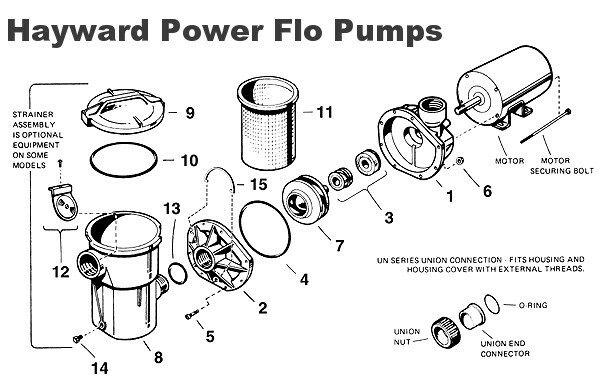 I have a Hayward Power-Flo 1 HP pool water pump like the one above and sudenly it became very noisy. I think it is related to the fact that it ran without water for ~ 1 hr because the pool lost the water. I have check for cracks or leaks. I found a small crack in the vac line I replaced it and still is doing the same thing. you can see air bubbles coming from the return and sometime it like burbs? the pump is a 1 1/2 year old. Is this an above ground or in ground swimming pool?